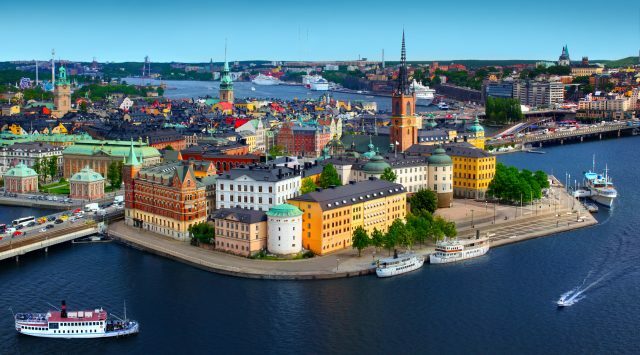 Aerial view of Stockholm from the skansen museum. 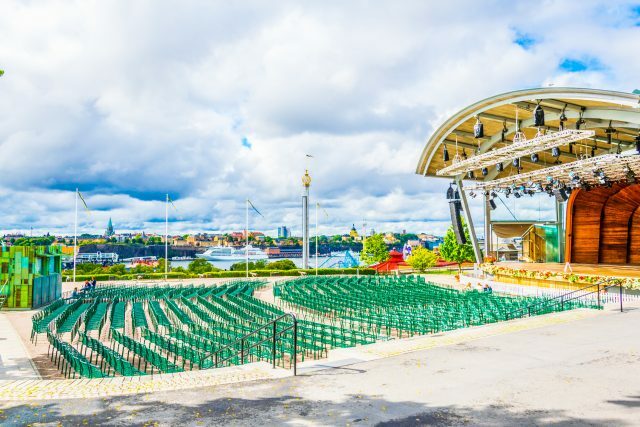 View of an open-air theatre in the skansen museum in Stockholm. 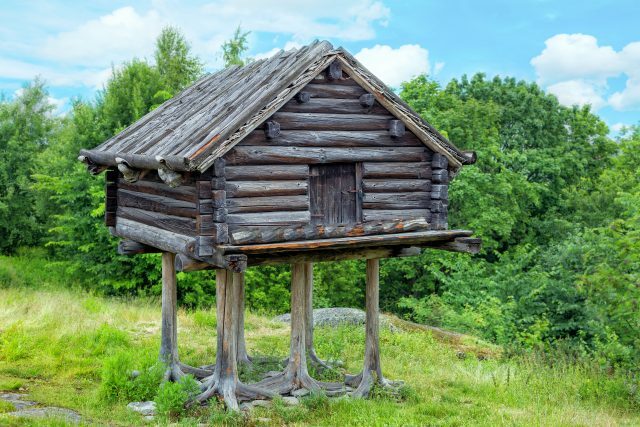 In addition to the Old Town we will visit the fascinating Vasa Ship Museum and see historic Sweden in miniature at the Skansen Outdoor Museum. 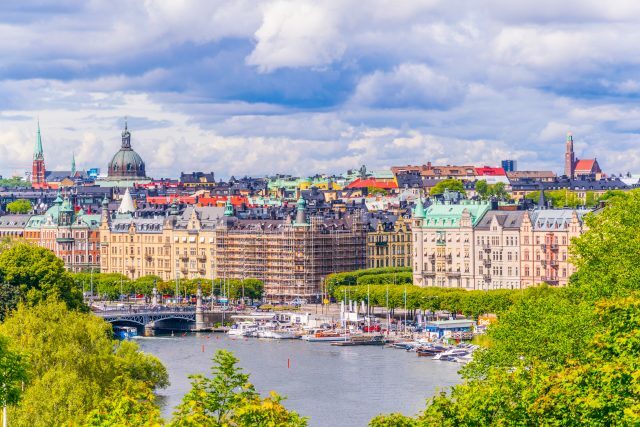 We start with a panoramic drive through the city center, passing the neighboring island of Djurgården, known as Stockholm’s outdoor recreation center, and such historic sites as the National Museum and the Royal Dramatic Theater. 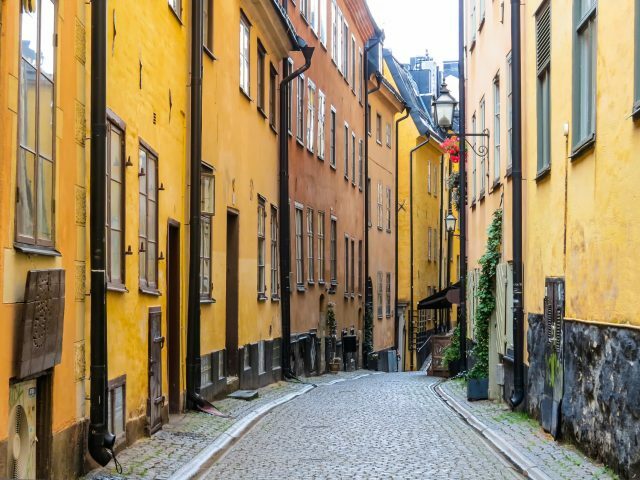 Our tour continues on to Gamla Stan, the Old Town, where Stockholm began over eight centuries ago. 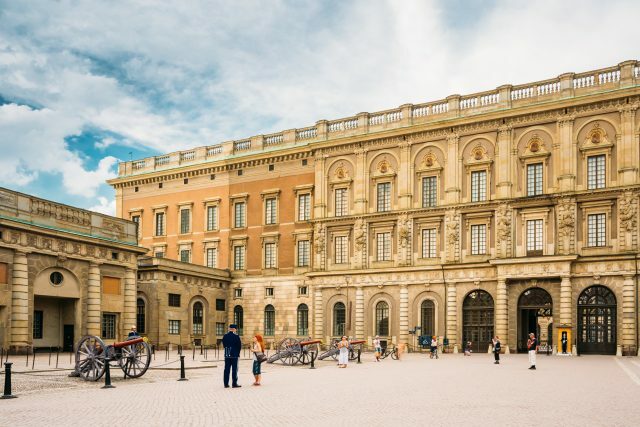 On our brief, guided walking tour, you can savor the romantic atmosphere and sense the antiquity of the 16th- to 19th-century buildings, baroque doorways and regal coats of arms. 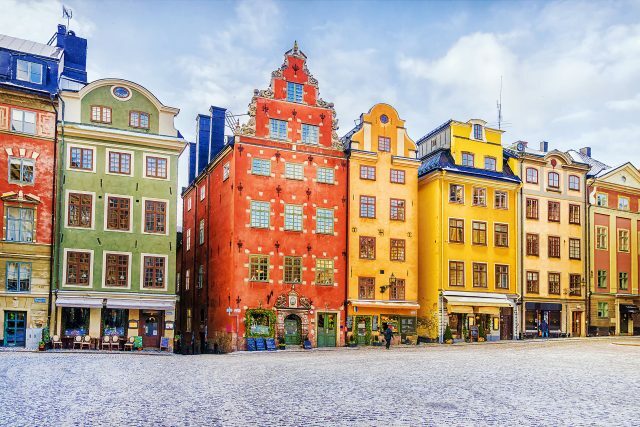 We’ll see the Stortorget – the square that serves as the hub of the Old Town, and the old Stock Exchange, now home of the Nobel Museum and the Swedish Academy, whose members decide each year’s winner of the Nobel Prize for Literature. 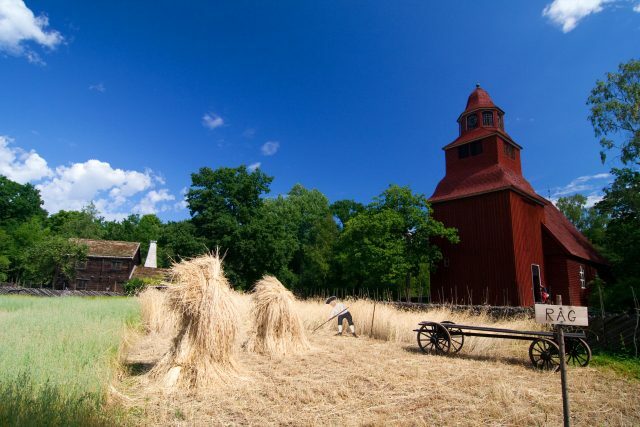 After this walking tour, we the visit the Skansen Outdoor Museum, home to more than 160 original, historic homes and buildings from all over Sweden that together portray what everyday life in the country was like in centuries past. 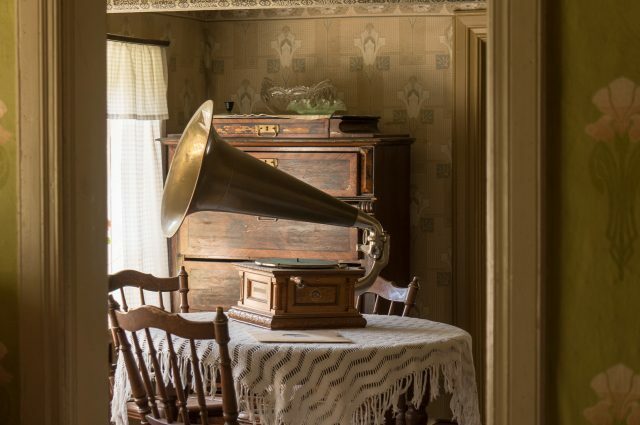 Museum staff dressed in period costume make the museum truly come alive. 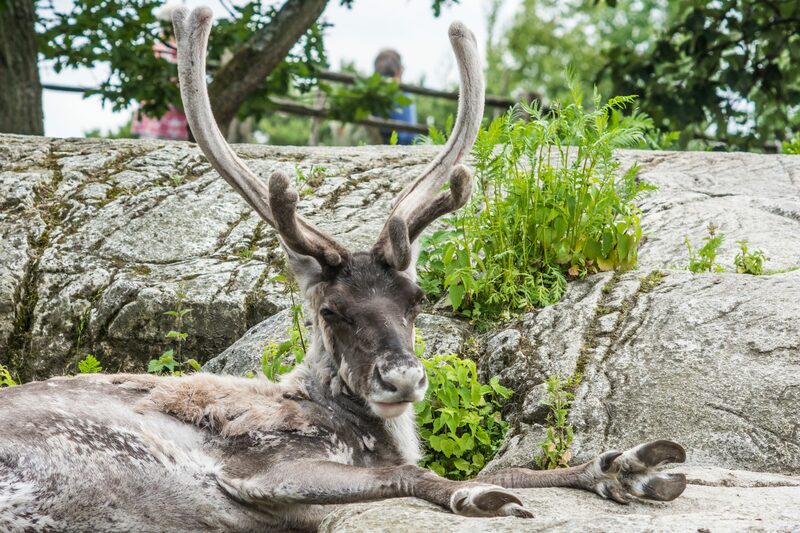 Skansen also has a small zoo featuring typical Swedish animals such as moose, reindeer and bear. 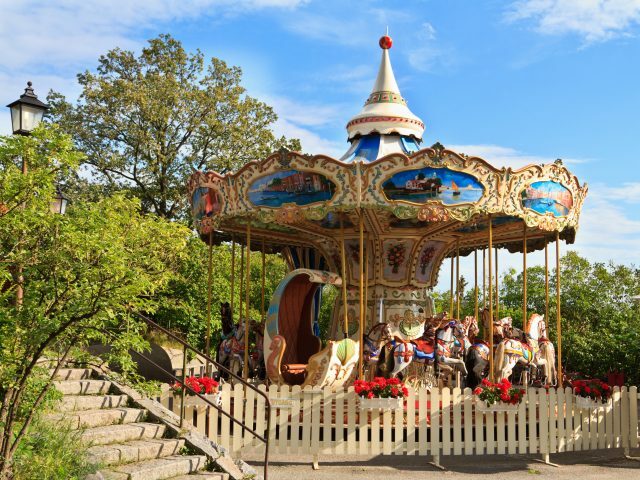 At Skansen we’ll take a lunch break before heading to our next destination: the Vasa Museum. 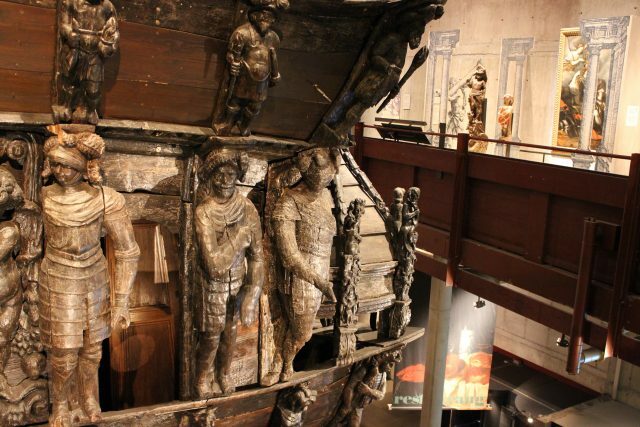 This extensive museum was built specifically to house the Vasa, the oldest fully-preserved ship in the world. 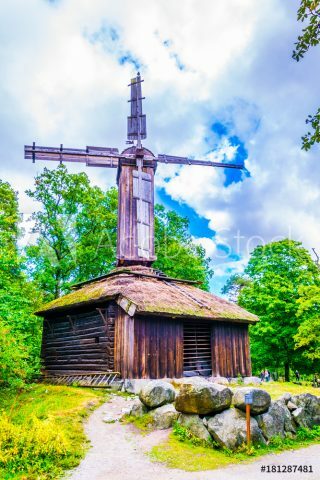 On her maiden voyage in 1628, the warship had been sailing for less than 20 minutes before the wind caught her sails and toppled her. 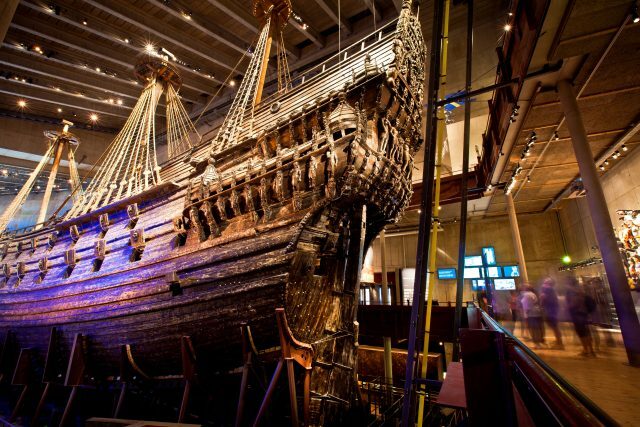 Over three centuries later, in 1961, she was finally raised from the mud of Stocholm harbor, along with 12,000 accompanying artifacts. 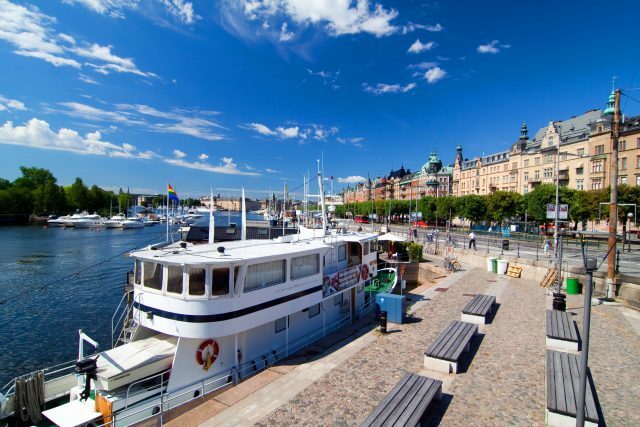 After a guided tour, you’ll have time to explore the museum’s other exhibits and displays of historic items recovered from the harbor floor. 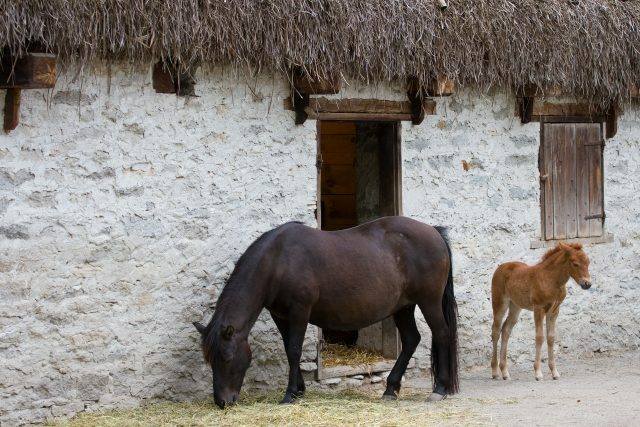 The tour concludes with a drive back to the cruise port.